If you’ve ever wanted more from your life and didn’t know where to begin, this book is your definitive guide. A template for intelligent, driven people who require facts and documented evidence to explain how “The Laws of Attraction” works, this book can revolutionize your perception of life, achievement, and belief. This insightful and sometimes humorous book will have you believing in magic. 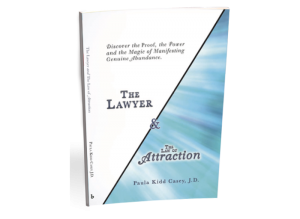 Read The Lawyer and the Law of Attraction today!